In June 2015 Almac Discovery, entered into a Research and Licensing agreement with Genentech, a member of the Roche Group to discover and develop small molecule inhibitors of a ubiquitin specific protease (USP) target. Under the terms of the agreement, Almac Discovery received an upfront payment of $14.5 million and were eligible to receive up to $349 million in payments based on achievement of certain predetermined milestones as well as escalating tiered royalties on potential commercial sales of multiple products to the target by Genentech. Almac Discovery’s novel, potent and selective small molecule inhibitors were the starting point for a two-year joint research program funded by Genentech. In June 2017, Almac Discovery entered a Licensing and R&D collaboration with Debiopharm International SA., a Switzerland based specialty pharmaceutical company, to pursue the development of Almac Discovery’s Wee-1 kinase inhibitor program. Wee-1 is a key regulator of the cell cycle and inhibition of Wee-1 kinase has been shown to force arrested cells through the cell cycle leading to cell death. Almac Discovery has granted exclusive global rights to its Wee-1 kinase inhibitor patent families and related subject matter expertise to Debiopharm and are eligible to receive, in addition to the upfront payment, further development and commercial milestone payments plus royalties. In June 2015 the Almac Discovery team entered an R&D collaboration with Elasmogen, an Aberdeen University-based biologics drug discovery company. The aim of the collaboration is to harness the combined expertise of Almac Discovery and Elasmogen to develop a technology platform for the generation and optimzation of next generation medicines based on Elasmogen’s Variable New Antigen Receptor (VNAR) proteins. Shark VNAR domains are the smallest naturally occurring antigen binding domain (~11 kDa) with a binding mechanism distinct from traditional antibodies. These properties are potentially advantageous for cancer therapy, where they are yet to be exploited. 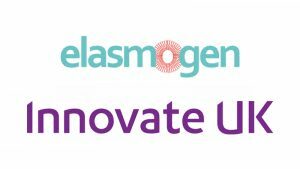 In July 2018, Almac Discovery and Elasmogen were awarded a grant from Innovate UK through its Innovation in Health and Life Sciences funding program. The £2M peer reviewed collaborative project entitled ‘A Technology Platform for Next Generation VNAR based Oncology Medicines’, plans to utilize the highly selective, high affinity and yet low molecular weight non-antibody VNAR protein scaffold and build a versatile platform to facilitate the discovery and development of targeted oncology therapeutics. Innovate UK is the UK’s innovation agency working with people, companies and partner organizations to find and drive science and technology innovations that will grow the UK economy.